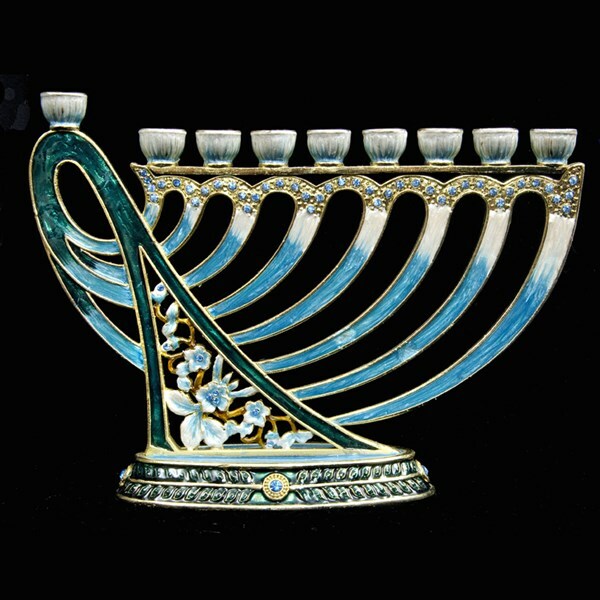 Enameled metal harp-shaped menorah with jeweled accents. Gift boxed. 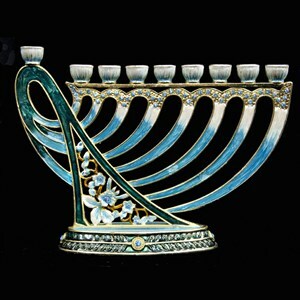 For candles.